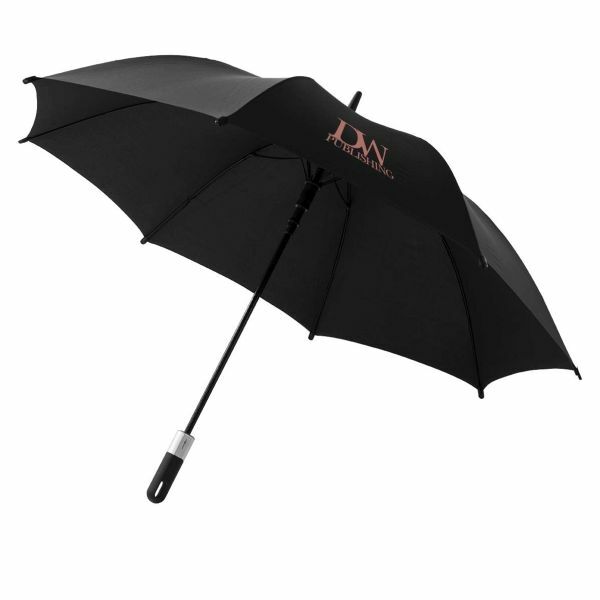 First umbrella in the market that opens by twisting the handle. 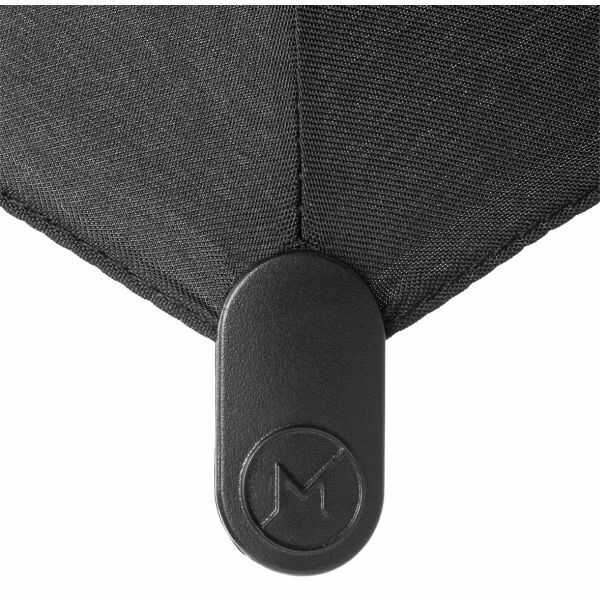 Exclusive design automatic umbrella with an innovative opening system and bespoke eye-savers. 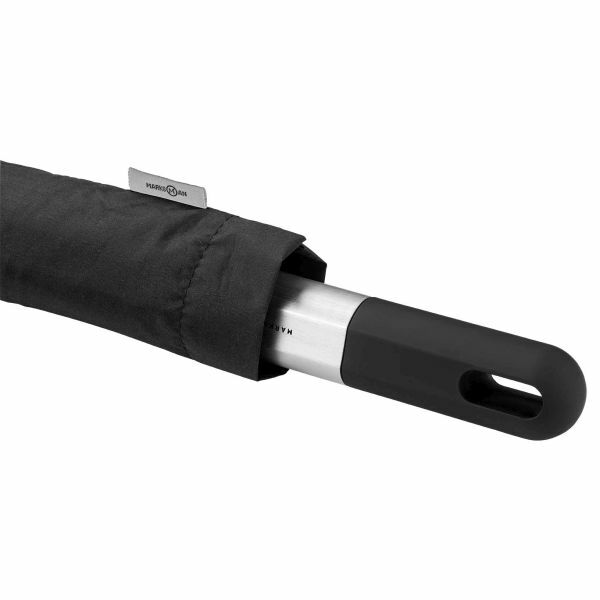 Rubber coated plastic handle with brushed Aluminium cover. Fibreglass shaft and ribs, packed in a non woven Marksman gift pouch. Pongee polyester.